Honey is the extract of the flower and it is the best food on earth produced by the honey bees. No comparison with any kind of food with honey. Honey can not be produced artificial. We only collect it from bee hives from bees house. If you use honey in your daily food it gives you more nutritional value. Honey is always a best food and we use it in many more edible things. Honey is highly used in the medicinal products. 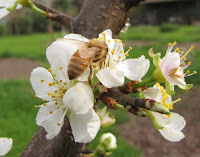 We can collect many type of honey according to the flower used by honey bees. Some are very medicinal value in it.